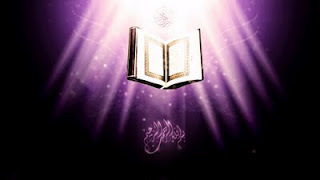 Why we should read the Glorious Qur’an, the Noble Qur’an, the Holy Qur’an??? It dares you to disprove it. How? It says that humans cannot write a book like this even if they pooled all their resources together and got help also from the spirits. The Qur’an said this issue fourteen hundred years ago and yet no one has been able to disprove it. Billions of books have been writ-ten-but not another one like the Qur’an. The Qur’an withstands the test of time and scrutiny. No one can dispute the truth of this book. It speaks about past history and turns out right. It speaks about the future in prophecies and it turns out right. It mentions details of physical phenomena which were not known to people at the time; yet later scientific discoveries prove that the Qur’an was right all along. Every other book needs to be revised to accord with modern know-ledge. The Qur’an alone is never contradicted by a newly discovered scientific fact. The Qur’an is the best guidebook on how to structure your life. No other book presents such a comprehensive system involving all aspects of hu-man life. The Qur’an also points out the way to secure everlasting happi-ness in the afterlife. It is your roadmap showing how to get to Paradise. God has not left you alone. You were made for a reason. God tells you why he made you, what he demands from you and what he has in store for you. If you operate a machine contrary to its manufacturer’s specification you will ruin that machine. What about you? Do you have an owner’s ma-nual for yourself? The Qur’an is from your Maker. It is a gift for you to make sure you function for success, lest you fail to function. It is a healing from God. It satisfies the soul, and cleans the heart. It re-moves doubts and brings peace. Humans are social creatures. We love to communicate with other intelli-gent life. The Qur’an tells us how to communicate with the source of all intelligence and the source of all life. The Qur’an tells us who God is, by what name we should address Him, and the way in which to communicate with Him. So brothers and sisters, Are these not seven sufficient reasons for reading the Qur’an?